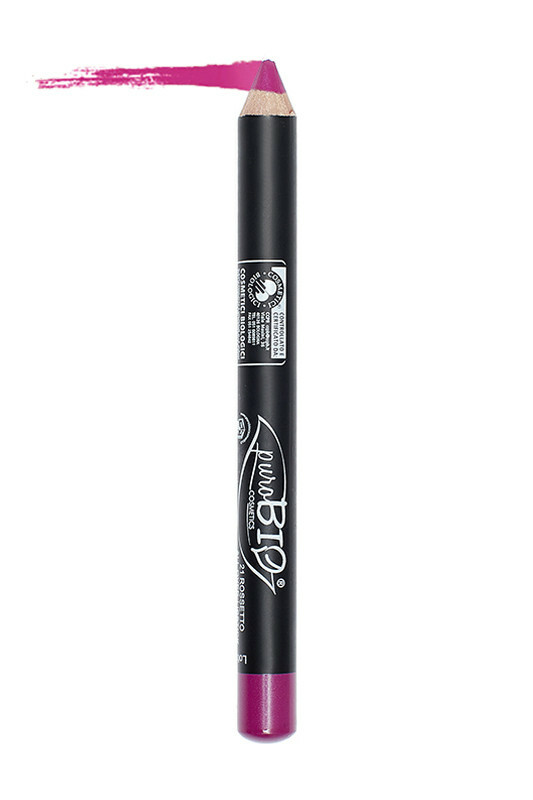 Purobio Organic Multifunction Pencils embellish all your face: eyes as eyeshadow, lips as lipstick and cheeks as blush! With a pencil format, they are very easy to apply. You will love the 6 pigmented shades which are long-lasting! Rich formula in organic natural oils of soya and apricot, Purobio 3 in 1 Jumbo Pencil protects and nourishes your skin continuously. 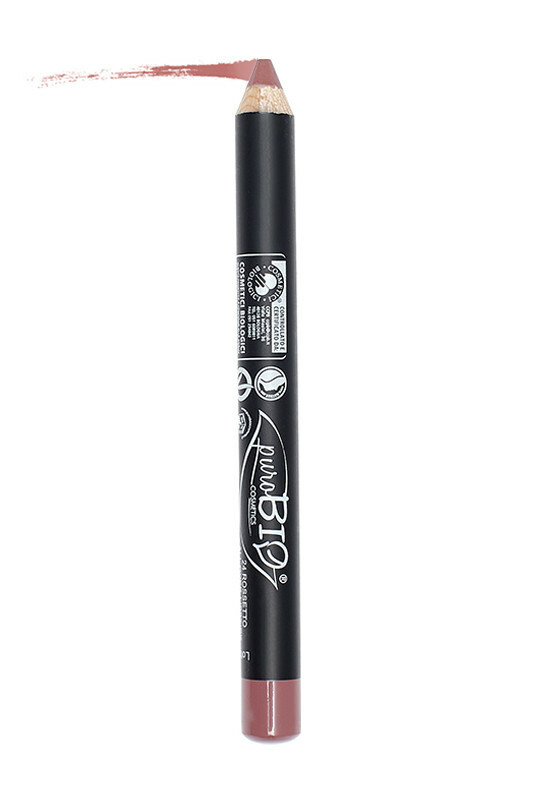 The Purobio Organic Eye Pencil is easy to use & to apply! Which Jumbo Pencils to choose with your Purobio Lip Contour Pencil? 16 Pompeii Red: Satin finish. Suitable for a classic look. Matches perfectly with Lip contour pencil n°09. 17 Sienna brown: ultra-matte effect. Matches perfectly with Lip contour pencil n°10, for a classic look. 24 Purple pink: matte finish, natural and discreet daytime look. Matches perfectly with Lip contour pencil n°08. 25 Marsala: satin finish Very versatile: suitable for day and night. Matches perfectly with Lip contour pencil n°29. 26 Wine colour: matte finish. Suitable for a sophisticated look. Matches perfectly with Lip contour pencil n°30. 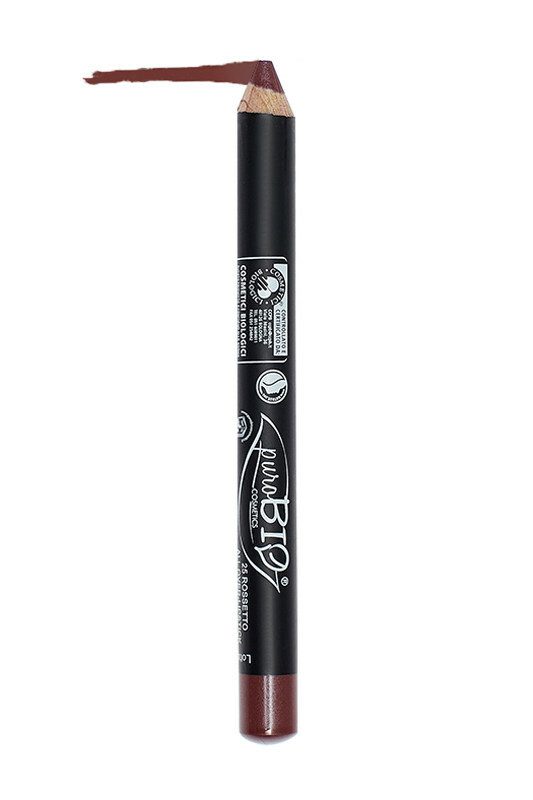 You can also use it as a blush by applying the lipliner pencil on the back of your hand. Using the blender sponge or brush n°03 tap lightly on your cheekbones. This can be done with the fingers. You can also use the jumbo pencil as eyeshadow! Make a thick line on the eyelid and then blur it with your fingers or eyeshadow brushes n°7,8 or 9. Composition of Jumbo Eye Pencils PUROBIO guaranteed nickel-free!